I have been meaning to post something about this all week. 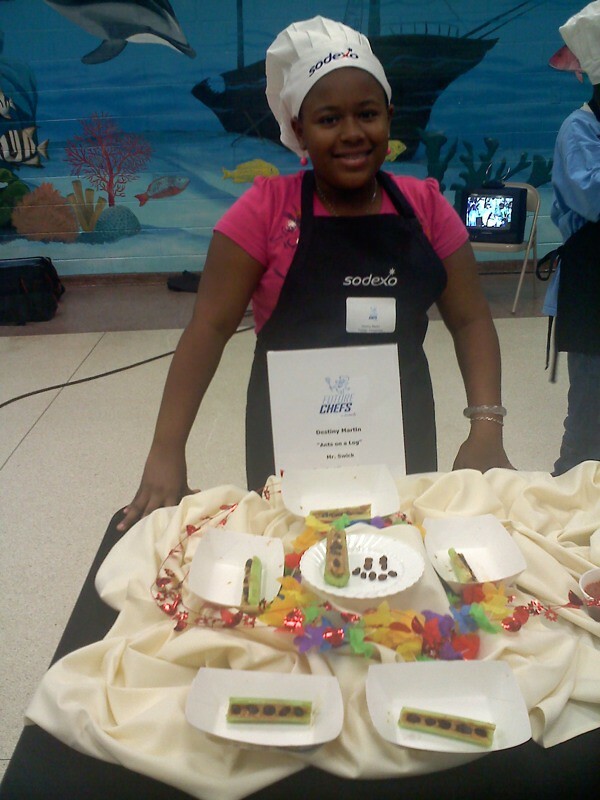 Recently, Sodexo, our school cafeteria contractors held a district recipe competition, and one of my students won our school level competition. 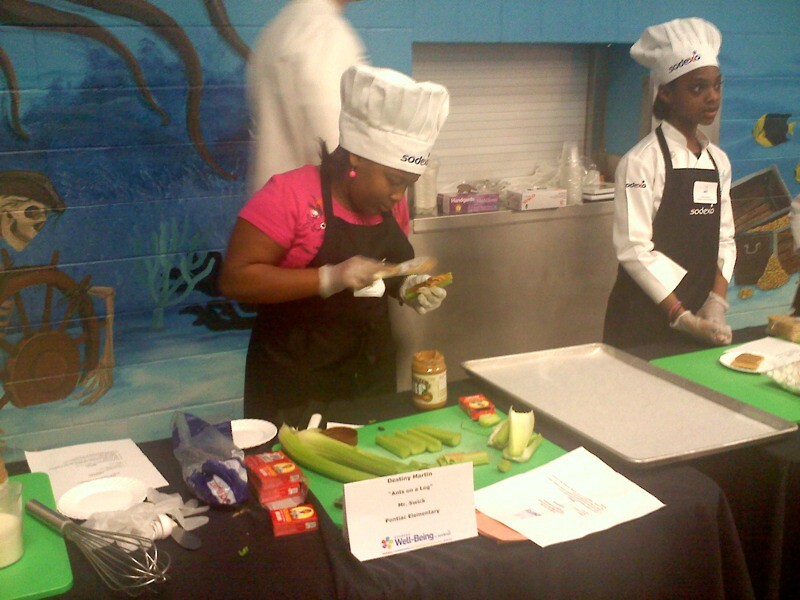 Destiny took her recipe on the road and competed with students from across Richland Two. 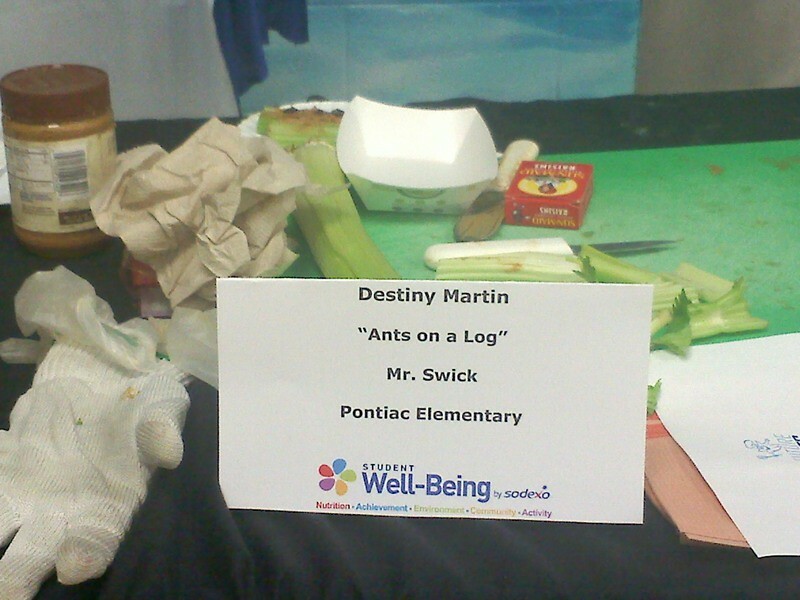 Her idea, Ants on a Log, was a big hit. 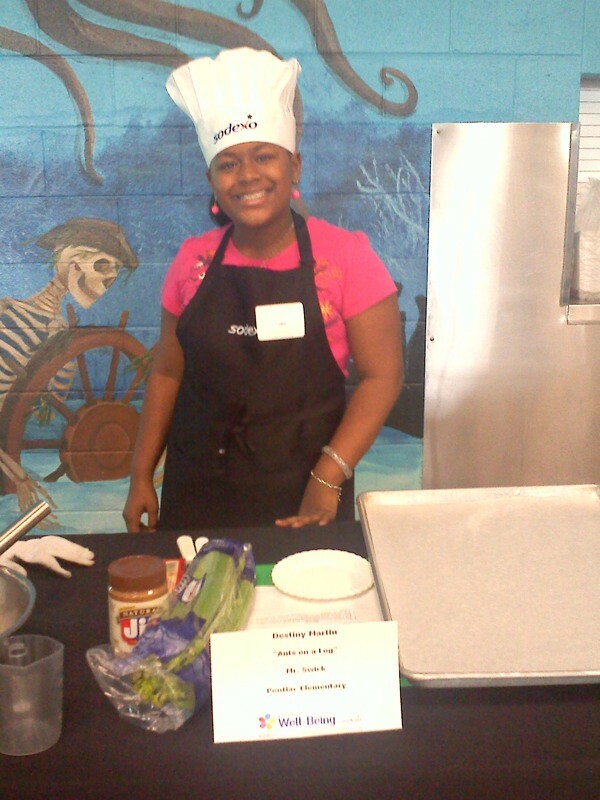 she won an award at the Future Chef competition for easy kid friendly snack. Destiny took home a medal and a bag of Chef Goodies. I am so proud to have Destiny represent our school in such a fine way. BTW… She also entered several items in the state fair this year as well. She took home some awards from that as well. She is a talented, creative, crafty student. YAY Destiny! Very proud of you!